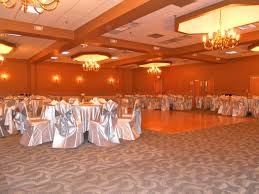 ﻿ Monarchhall.net - The Monarch at Woodbridge/Iselin - Top Rated Banquet Hall in Central New Jersey !! Our Central NJ location is perfect for your gathering! The premier banquet facility is in the heart of Woodbridge, conveniently located at: 77 Queen Road at the junctions of Routes 1 and 9 in Iselin. 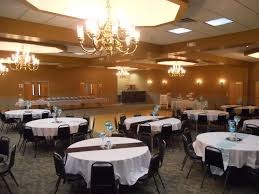 With a room capacity of 180 people, the venue is a perfect setting for Anniversary’s, Baby Showers, Bar/Bat Mitzvahs, Birthdays, Bridal Showers, Communions, Confirmations, Community Fundraisers, Corporate Events, Funeral Repasts, Graduation parties, Retirement parties, Sweet 16's and Training. Our Hall is outfitted with a parquet dance floor, padded chairs and brass and glass chandeliers. Guests may bring their own food or use our fine catering service, T&L / Leon's Catering: www.tlcatering.com Call our Manager at 732.381.1119. Setup and Cleanup services are available – All fees are subject to change. Your invited to tour our facility on Thursdays from 5:30 PM to 7:30 PM - No Appointment is necessary - The Hall is located on the 3rd floor. You will meet with our preferred catering service which is T&L/Leon's Catering - They can be reached at 732.381.1119 or 908.757.5473 and please feel free to contact them for any information about our facility.